Outside the entrance to the Palazzo Vecchio in the Piazza della Signoria is a marble sculpture of Hercules. 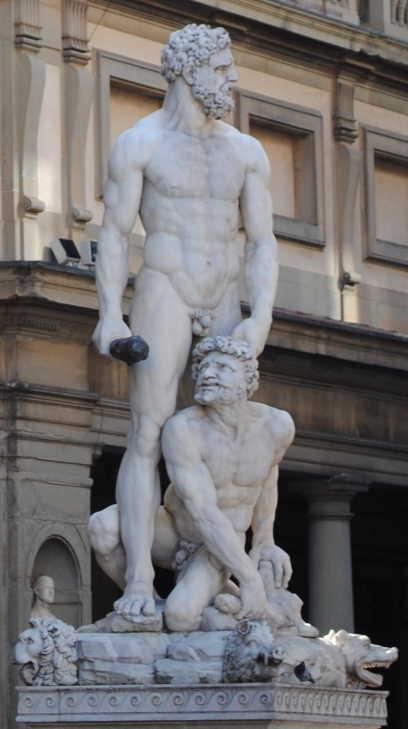 The sculpture depicts Hercules standing over Cacus who, in Roman mythology, was a giant who breathed fire. The sculpture is the work of the 16th century High Renaissance and Mannerist sculptor Baccio Bandinelli. Completed between 1525 – 1534, the sculpture stands over five metres high.